In red with Biscuit trim. 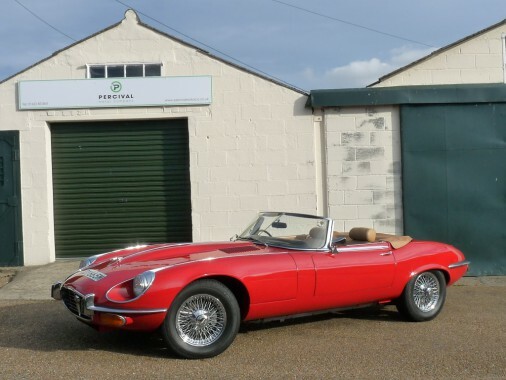 A lovely UK supplied V12 E Type Jaguar with the desirable manual gearbox and chrome wire wheels. It is a matching numbers example in very nice order throughout.